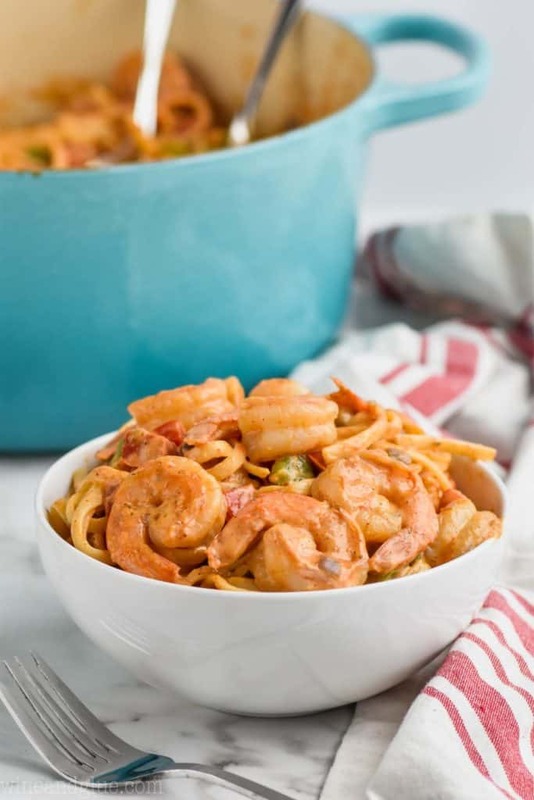 If you are looking for amazing one pot meals, look no further than this One Pot Shrimp Fajita Pasta! Made with a few simple ingredient, my amazing homemade fajita seasoning recipe, and a creamy sauce, this tasty one pot meal that can’t be missed! A few years ago I was working with a brand that I love and they were having me do a morning show appearance. As part of the appearance they wanted me to share a SUPER simple dinner recipe. 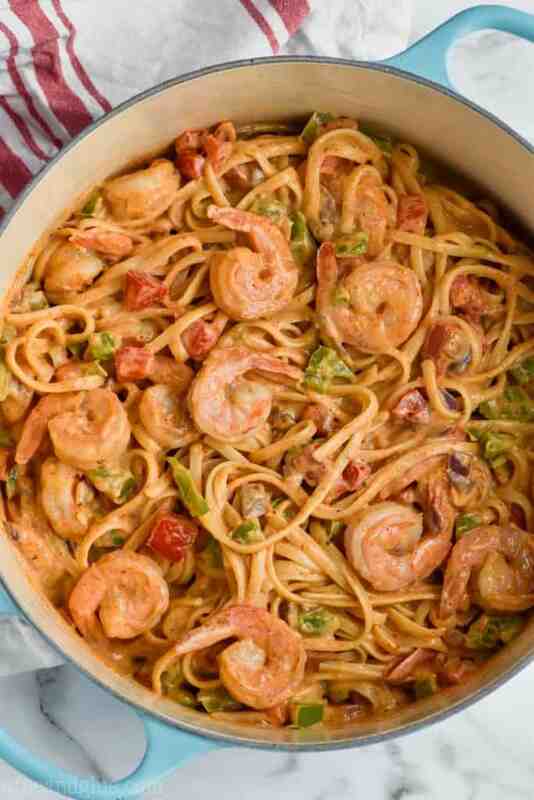 So a few days before the appearance I made and posted this One Pot Southwestern Alfredo Pasta. I realized that I kind of love being in the spotlight . . . . like to an alarming degree. ???? The people on the morning show were maybe the nicest humans I’ve ever met. They loved the pasta so much that they asked if they could keep the left overs and put it in the break room for the crew. And it turns out that you guys love that recipe too!! 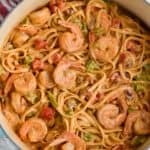 That recipe has so many comments on it from people who loved it, and have made it for their family over and over again. 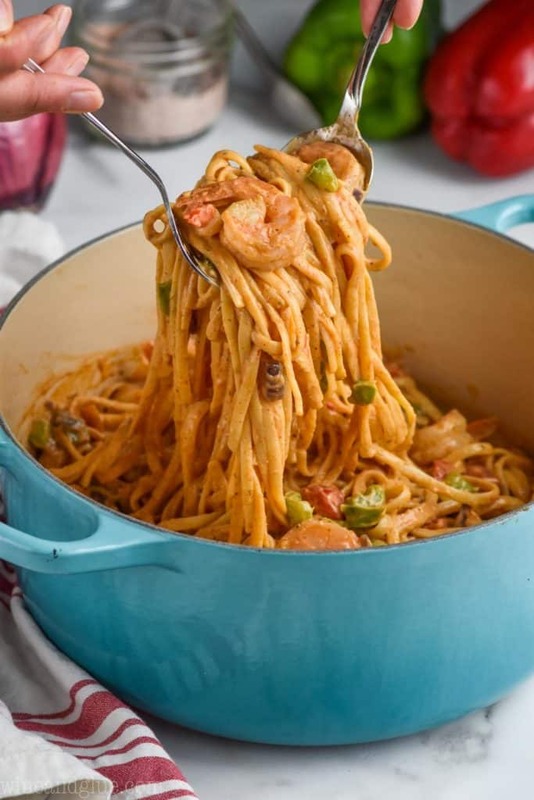 Turns out folks love creamy pasta one pot meals. So I made a super simple one pot pasta recipe that is similar to that first one, but this time it is made with my Fajita Seasoning Recipe! 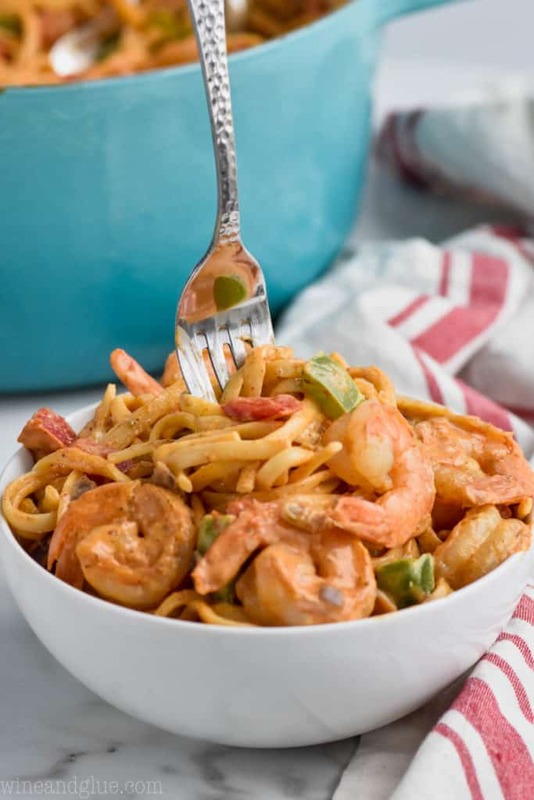 It’s got all the staples of great shrimp fajitas in it, and it comes together so delicious and perfect in one pot! If you need even more amazing dinners, be sure to check out this Easy Chili Recipe. I’m seriously in love with this Mexican Skillet Dinner! And I just love how simple this Fish and Vegetable Foil Dinner is! 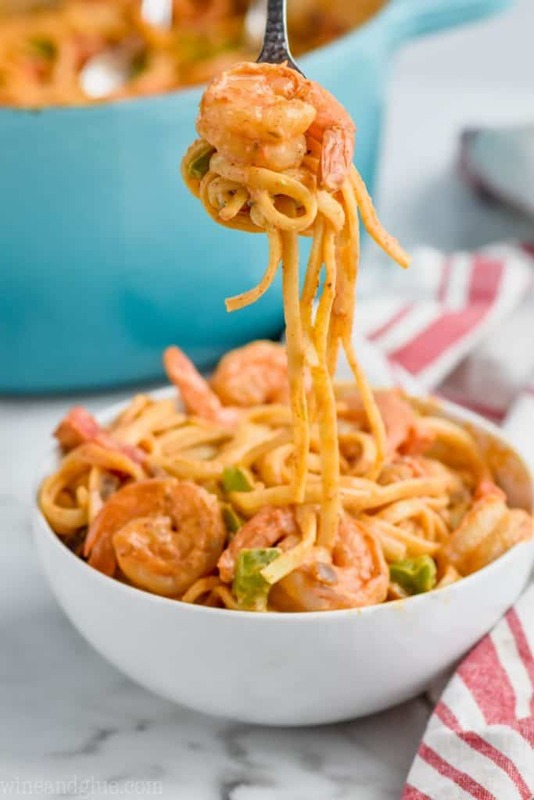 If you are looking for a great one pot pasta, make this One Pot Shrimp Fajita Pasta! Simple ingredients for an easy meal! 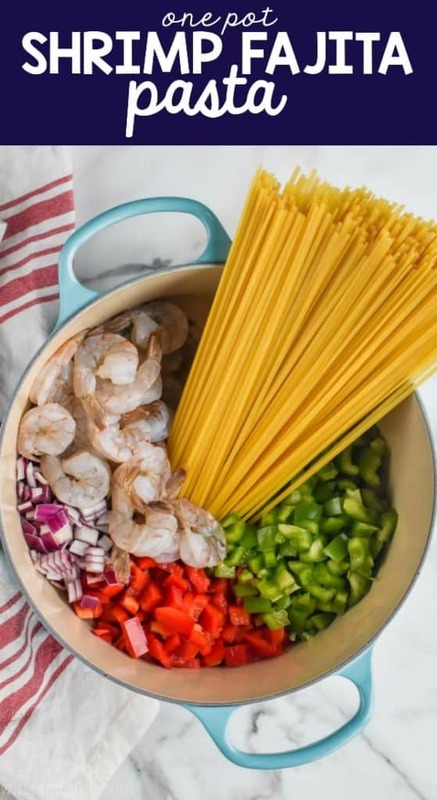 In a large heavy bottomed stock pot, heat up enough water to cook your fettuccine and cook it according to package instructions. While the fettuccine is cooking, dice up your vegetables. After you have drained the fettuccine, set it aside in the strainer, and return the stock pot to the medium low heat. Melt the butter, and add the garlic, cooking until it is just fragrant. Then add the bell peppers and onion. Cook for two minutes, stirring regularly. 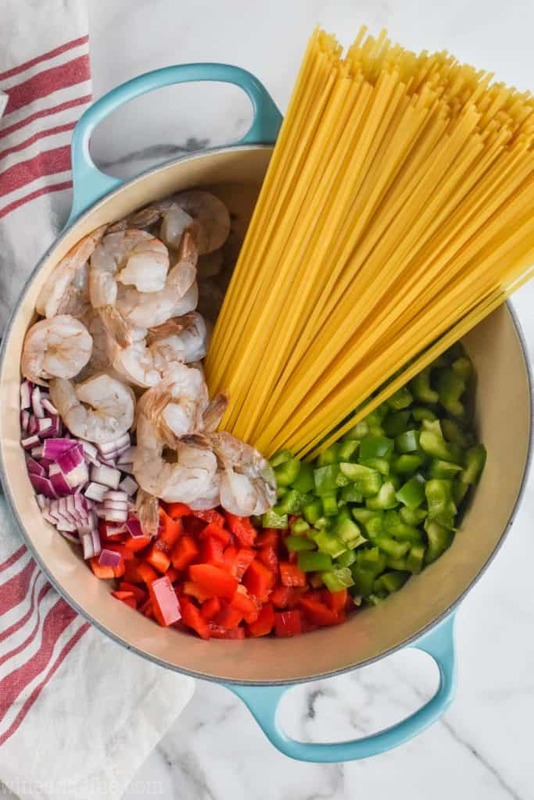 Add the shrimp and cook it with the vegetables, stirring regularly, until the shrimp is pink, about five minutes. Stir in the fajita seasoning, and coat the shrimp and vegetables with it. Turn the heat low and add the pasta back to the pot, and then stir in the alfredo sauce, until everything is coated and creamy. Serve immediately. 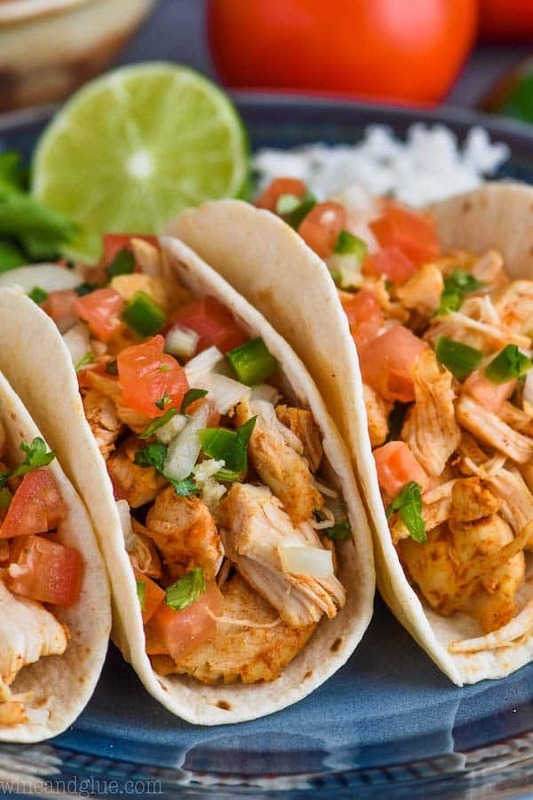 More easy dinner recipes you will love! I realized that I kind of love being in the spotlight . . . . like to an alarming degree <— Seriously??!! I would give you all my spotlights if I could. I like to hide in the back 🙂 This pasta looks perfect! I’ve seen you enjoy the spotlight ???? ???? 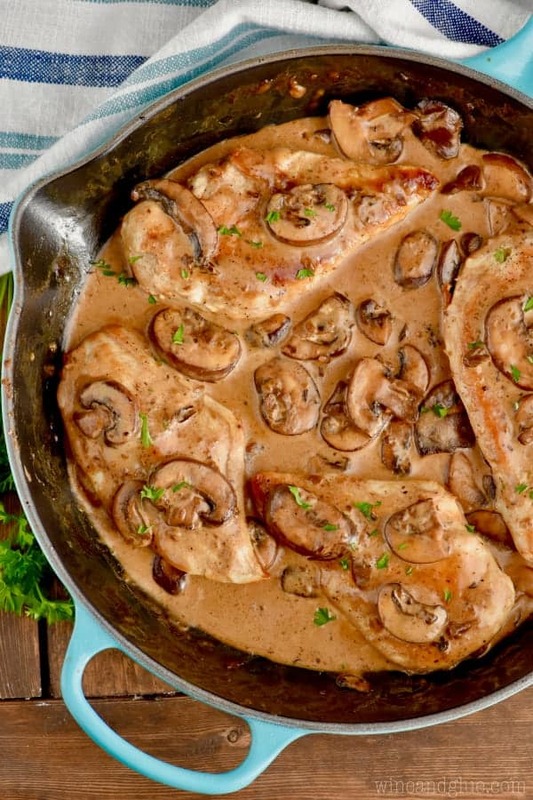 This recipe looks Sooo Good! I have to try nit soon. 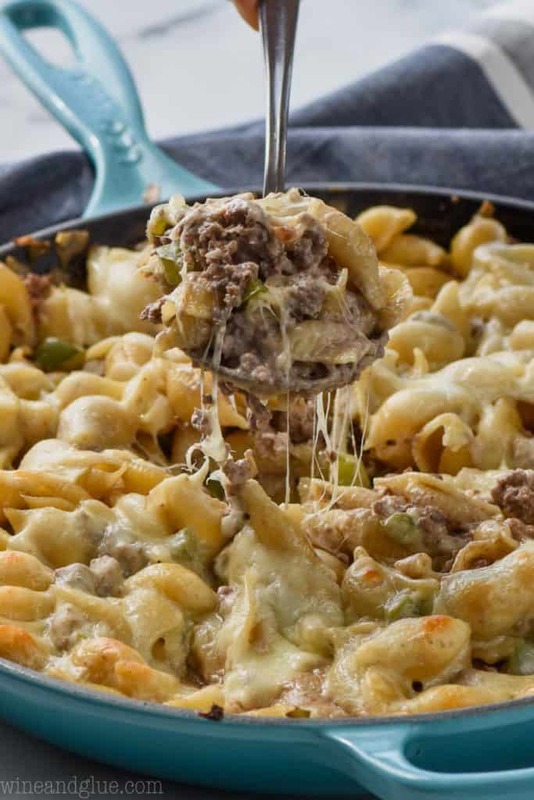 And I want to make the Philly Cheese Steak Casserole too! Yummy! Thanks!